Illuminate your music on the go! 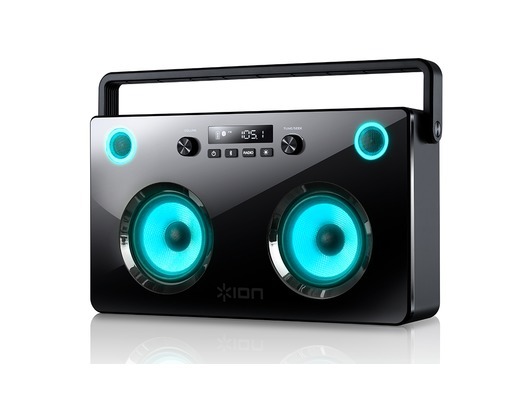 The Ion Spectraboom is a wireless stereo boombox with LED lighted speakers, FM radio and built-in rechargeable battery. 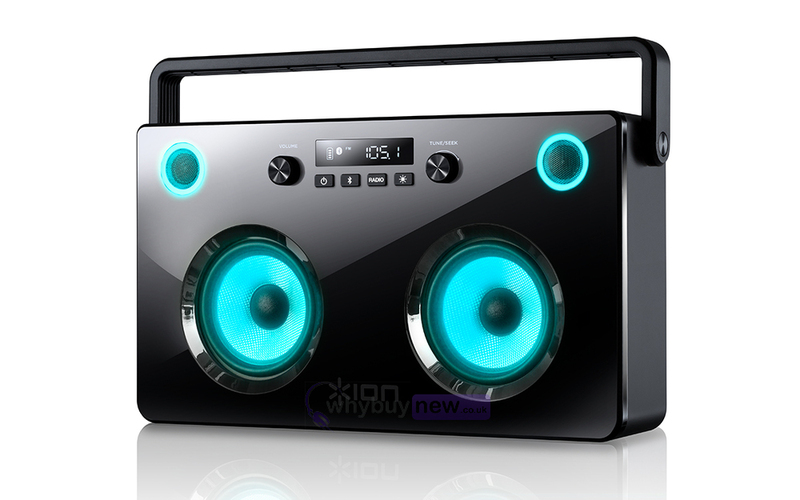 It streams your favourite music wirelessly from Bluetooth devices and features up to 6 hours of battery life. Just because you're on the go doesn't mean you have to choose between great sound and great looks. SpectraboomTM gives you both! 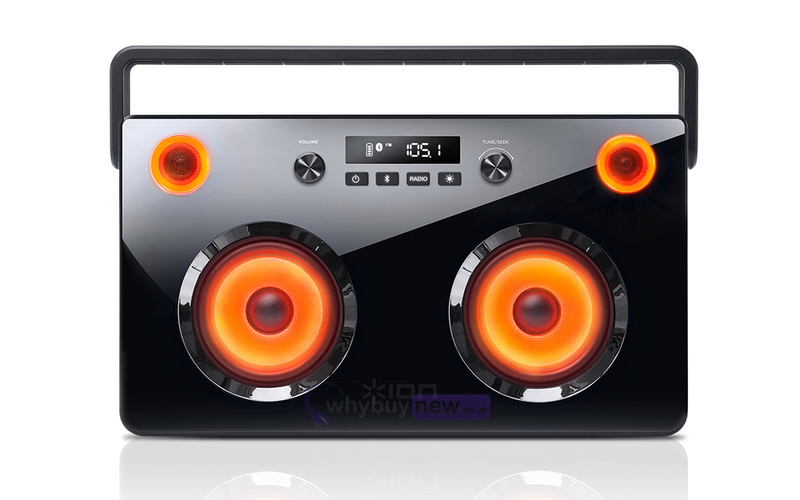 The 2-way speakers light up in multiple colours and either cycle through several different light modes or you can select your favourite. The sleek enclosure is finished in a striking glossy piano black, which really sets off the colour show from the drivers. This unit turns heads with its looks. But even if people have their eyes closed, Spectraboom makes its presence known. With dual 5-inch woofers, two wide-dispersion tweeters and a 60-watt dynamic power amplifier (30W x 2), the sound is powerful, clear and punchy. Of course it will stream music wirelessly from Bluetooth devices, and of course it has a built-in rechargeable battery for hours of continuous use. What you might not expect is the convenient USB port for charging your other devices, an FM radio and an auxiliary jack for connecting non-Bluetooth equipment. Spectraboom is the whole package. Here we have the Ion Spectraboom in new and manufacturer refurbished which will come boxed 'as new' with a 1-year warranty. Buy this amazing Spectraboom with confidence with 100% satisfaction guaranteed or your money back! Battery Life: Up to 6 hours with audio and LEDs, up to 30 hours with only audio.